For those who have read my recent post about my hen party trip to Benalmadena, you’ll know I enjoyed a fantastic Spanish break. It was for my best friends hen party (you can read more about it here), and for a place I didn’t know too much about beforehand, I was overly impress with Benalmadena. It had been around 10 months since I had last jetted away to sunnier shores for a weekend trip, so when it came to packing, I found myself starting from scratch. In the space of 10 months, I’ve discovered lots of new favourite products to prep me for a sunshine break (as a Beauty Editor, I’m discovering new products all the time!) and I even switched up my luggage too. This year, I opted to choose a more sturdier, luggage set, but obviously keeping it stylish and practical. With just being able to bring 10 kg’s worth of hand luggage with me, I opted for leather luggage. There is nothing worse than your bags ripping or tearing via transit and being thrown around, hand luggage or on-board luggage! I found Betty Hemmings to be a good retailer to look at for this, and I’ll be re-visiting the site for my Summer holiday later this year. So on to beauty travel favourites: what did I bring with me this year? First of all, I love nothing more than a good old space saving eye, lip and cheek palette. 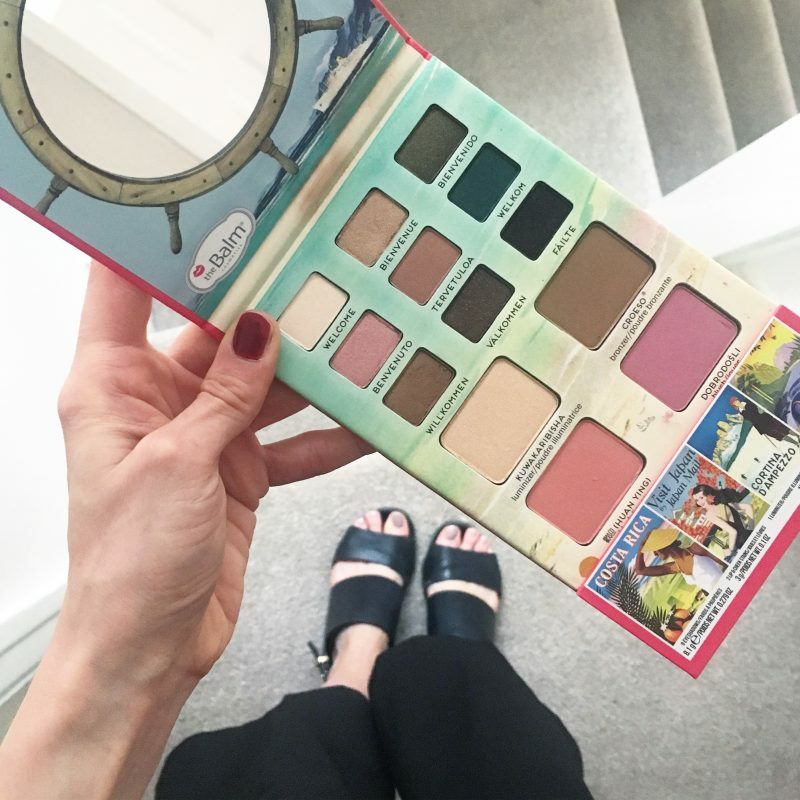 This TheBalm Voyage vol 2 Face Palette is a travel-friendly bold and bright palette which aims to make multi-tasking easy! It’s played the part as my travel companion containing everything I need for gorgeous looks on the go. It features nine exclusive triple-milled eyeshadows which can be used wet or dry, two blushes, a bronzer, a highlighter and two versatile lip-and-cheek creams stowed away in a sleek lower compartment. I can be quite particular with eye colours, as I always like a bit of bronze toned browns, warm neutrals and deep greys. Luckily, this palette has at least 4 shades that I would usually have handpicked myself, and the other eye shades have great for me to experiment with. The bronzer in this palette is a medium toned matte shade, perfect for chiseling away at my cheeks for a contoured look – paired with the highlighter – and to apply loosely all over the face for a sunkissed warm look. Another product I’ve been loving and find brilliant for brightening my skin for both pre-holiday prep and whilst away is the Paula’s Choice RESIST Brightening Essence. 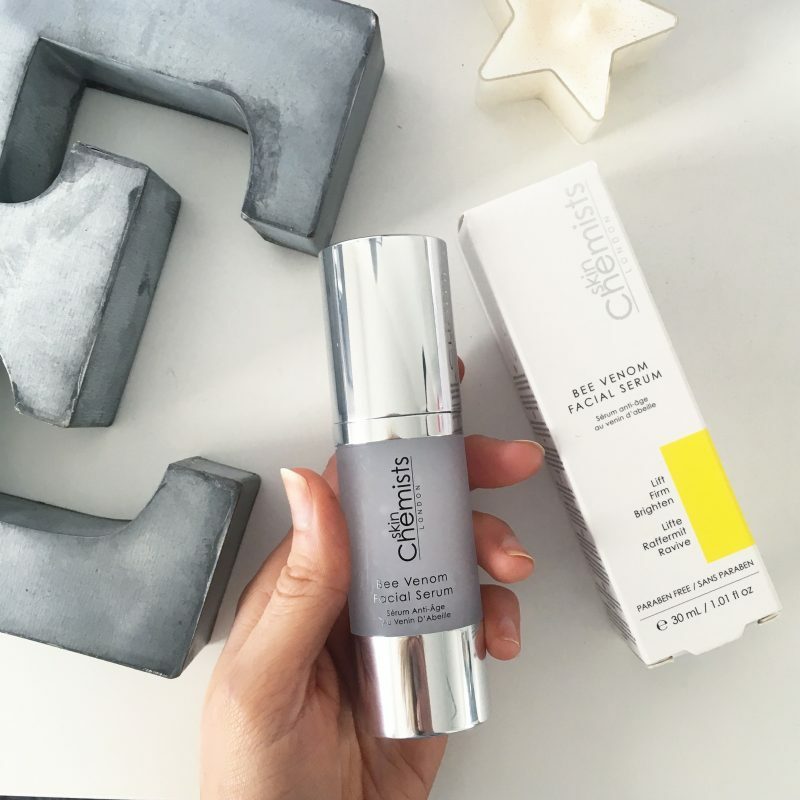 It’s a stunning, lightweight formula that combines a powerful brightening complex of arbutin and licorice extract with a unique mix of plant and vitamin-derived ingredients, including acetyl glucosamine and vitamin C. Research has shown these can improve a dull, sallow, ashen or uneven skin tone, which I currently have! Lack of sunshine and hiding my face behind makeup daily (combined with a sometimes poor diet) just gives me a real dull, grey-toned skin. However, after using 2-3 drops of this before my moisturiser for 2 weeks, I’ve noticed a small improvement to the radiance of my skin. The overall tone seems to be clearer and brighter, giving me that touch of luminosity I regularly miss! When I’m away on holiday, I don’t want to be messing around with different moisturisers and skin boosters, and just prefer one super effective treatment. This is why I love serums – I can always rely on them to hydrate, nourish, brighten, smooth and prep the skin before my makeup, yet work to tackle anti-aging overnight too. Bee Venom – this aims to increase blood circulation, and the movement of nutrients between the levels of the skin, firming and plumping the skin to reduce the visibility of fine lines and wrinkles. Hyaluronic Acid – this much raved about acid aims to provide and maintain moisture in the targeted area helping to firm the skin. I can’t fault this serum, but for £79, I was expecting to be impressed with it as it’s a little on the pricey side. It makes sense as it is packed with a concoction of hard working ingredients that tackle everything, from radiance issues to fine lines and wrinkles and skin texture. I genuinely find it a pleasure to use and it really kept my skin feeling fantastic whilst on holiday!